A private water well is one of the best sources of water for your home, but it may not be the best source of water pressure. 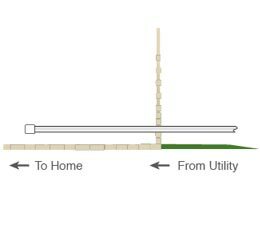 Homes with conventional private wells often experience inadequate or low water pressure for many reasons: low well levels, increased water usage, home addition or a new irrigation system. No matter what the cause, fluctuating water pressure and flow can disrupt the way your home works. Private well systems are set up to run at a certain pressure per square inch (psi), which is typically 40 to 60 psi. The pump in your well is set to run at one speed, keeping the pressure in your tank at either 40 psi or 60 psi. When the pressure in your tank reaches 40 psi the pump starts and pumps water until the pressure reaches 60 psi and shuts off. As your family uses water in your home the pressure drops, and when the tank reaches 40 psi the pump starts again. When you use multiple water sources at once, like the shower and washing machine, water pressure drops quickly, causing your shower to sputter, washer to fill slowly and water flow to diminish. Compare a conventional well water system to a constant pressure system. 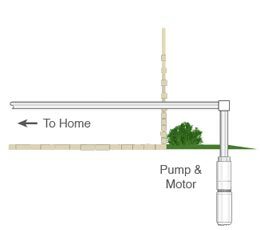 Homes served by city or municipal water systems receive their water from water lines that run through the city connected to the water tower. Water pressure may vary for homes with city water due to old infrastructure in the city system or being located a long distance from the main water line. No matter what the cause, fluctuating water pressure and flow can disrupt the way your home works. Click here to compare a conventional city/municipal system to a constant pressure system.